I have an idea for a new HP feature, which I think might bring us all some mirth and insight. I'm considering it part of #freakinweekend family of posts, and, an ongoing basis, #newsstand might even be only the occasional focus of "The Freakin' Weekend"-labeled posts. But, for its debut today, "Newsstand" gets its own standalone header, and here we go. 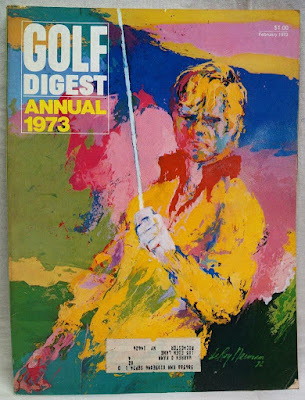 No surprise that this month's Golf Digest reveals Jack Nicklaus as its player of 1972, but the sublime LeRoy Nieman cover mustn't be missed! 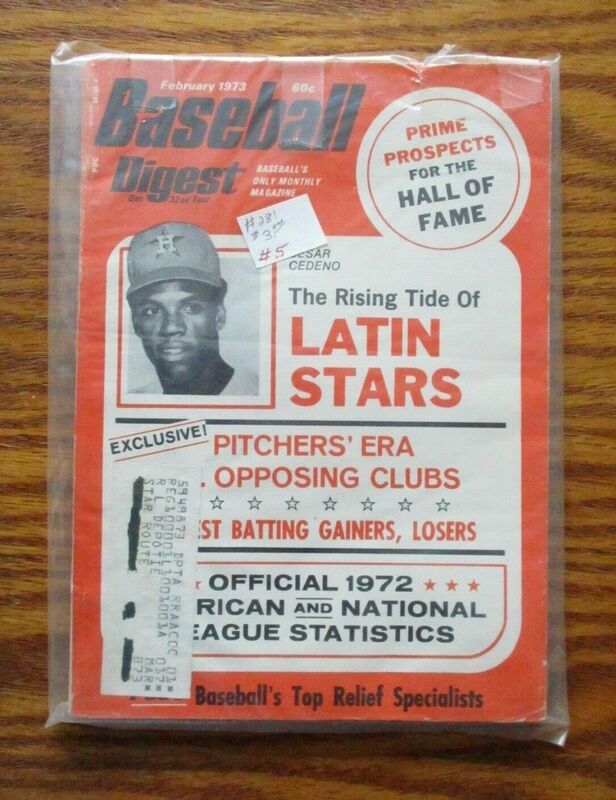 February 1973 me believes that Cesar Cedeno is headed to a Hall-of-Fame career, and Baseball Digest is steeling my conviction. I really like it that World Soccer, "The International Magazine," expects February 1973 us to know who this dude is without any labeling or even identifiable jersey markings. Not since New York 1924 has there been such a strong tournament in the USA … Bill Church evolved the idea of this magnificent event almost two years before the first pawn was pushed. 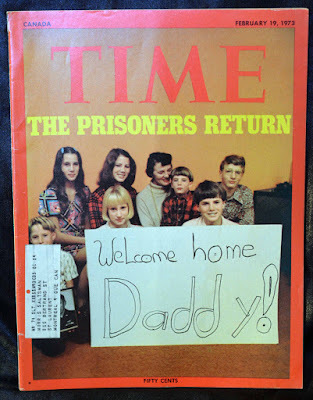 While he and his wife Kaye were on a visit to San Francisco in February 1971, they were invited to the home of George Koltanowski, where Bill took a beating from Kolty at the chessboard. “To make a long story not so long,” recalls Koltanowski, “the Churches took my wife Leah and me to dinner. Even if it doesn’t pay to win it costs to lose. And it was then, by a chance remark, that the idea of the first Church’s Fried Chicken International Tournament was hatched. Most of the New York Knicks’ front-line stars came from out of town. Frazier, Reed, DeBusschere, Bradley—they’re here because they came here. But one of the brightest new Knicks is a home-town boy, and the crowd loves him for it. 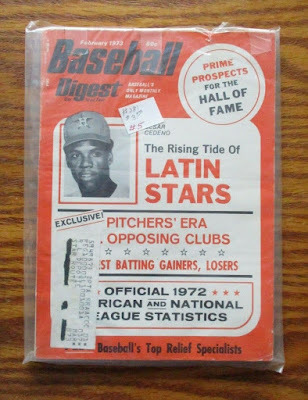 Dean Meminger grew up in Harlem, made the All-City team, and realized the great ghetto dream of making it big. Tony Kornheiser, who covers pro basketball for Newsday, relates the rise of Dean the Dream. -- Guns&Ammo, "GUN CONTROL IS NOT CRIME CONTROL!" -- Good Housekeeping, “EXCLUSIVE: John Wayne in his very private world” and “Make our nubby-knit pull-on sweater, page 76"
-- SHAZAM! 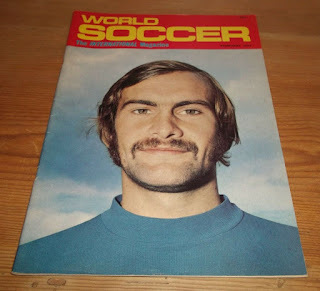 It's Captain Marvel.